· Candy, small toys, etc. 3. Pour chocolate into both plastic egg pieces and place into freezer for 5-10 minutes (depends on the size of the egg used. 4. When your egg is ready for the next step, the chocolate will be shiny in the middle, but dull around the edges. 5. Pour or spoon out the chocolate from the center. Put back into the freezer to allow the center to set up. 6. Once the chocolate has hardened completely, tap gently on the outside (plastic) and your chocolate egg will fallout of the mold. 7. Once you have both egg halves, fill one side with small toys, candy, etc. 8. As glue to secure the halves together, “paint” chocolate on one of the edges of one half of the chocolate egg. Press halves together and place in freezer to set up. 9. When the seam has set up, remove and prepare to decorate. 10. Roll out fondant and color if desired. 11. Measure around your chocolate egg and cut a ½” strip of fondant that will go completely around your egg to cover the seam. b. 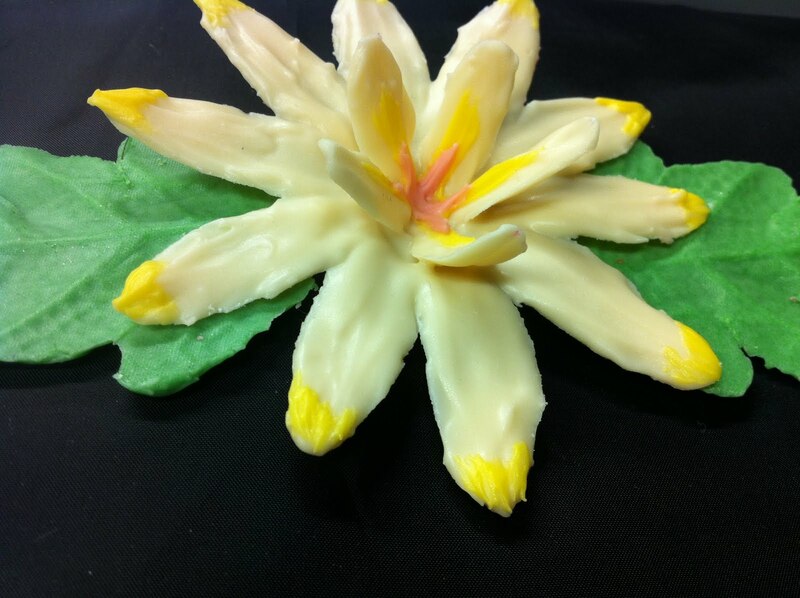 Paint chocolate onto silk flower or leaf. c. Place into freezer to set up. e. Paint on chocolate accents if desired. Let set up again. 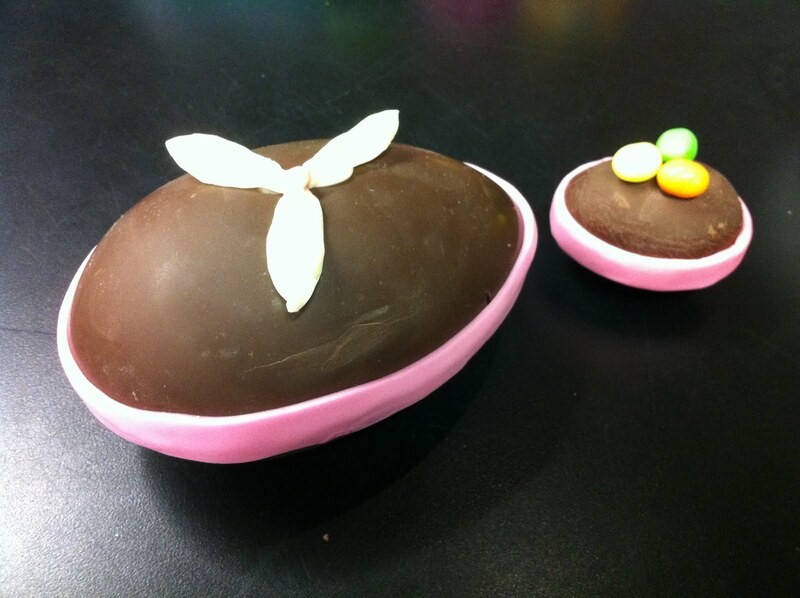 f. Use melted chocolate as glue to adhere flowers to the top of the chocolate egg.